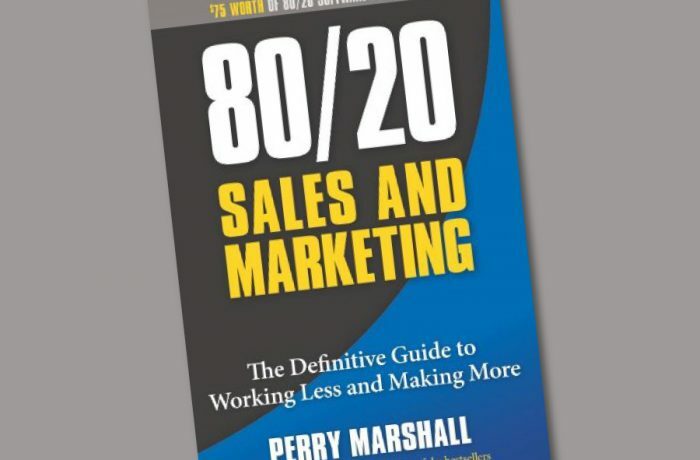 Guided by famed marketing consultant and best-selling author Perry Marshall, sales and marketing professionals save 80 percent of their time and money by zeroing in on the right 20 percent of their market -- then apply 80/202 and 80/203 to gain 10X, even 100X the success. With a powerful 80/20 software tool (online, included with the book), sellers and marketers uncover how to slash time-wasters; advertise to hyper-responsive buyers and avoid tire-kickers; gain coveted positions on search engines; differentiate themselves from competitors and gain esteem in their marketplace. With the included tools they'll see exactly how much money they're leaving on the table, and how to put it back in their pockets. Sellers will identify untapped markets, high-profit opportunities and incremental improvements, gaining time and greater profit potential. Supported by online tools from Marshall, including The 80/20 Power Curve, a tool that helps you see invisible money, and a Marketing DNA Test, a personal assessment that zeroes in on one's natural selling assets, this timeless guide promises to change the game for seasoned and novice marketers and sellers.